IWC Schaffhausen is launching new models in the Pilot’s Watch collection, including two new variations of the Big Pilot’s Watch, whose retro design is directly inspired to the historic timepieces from the 1940s. The new Big Pilot’s Watch Heritage is available in titanium (ref. IW501004) or in bronze (ref. IW501005), both versions featuring a black dial and blue hands coated with luminescent material. The edition in bronze is limited to 1,500 pieces. The 46.2 mm x 15.4 mm case houses the IWC-manufactured calibre 52110 with a Pellaton winding system and 7 days of autonomy. A power reserve display at 3 o’clock indicates the charging level at all times. 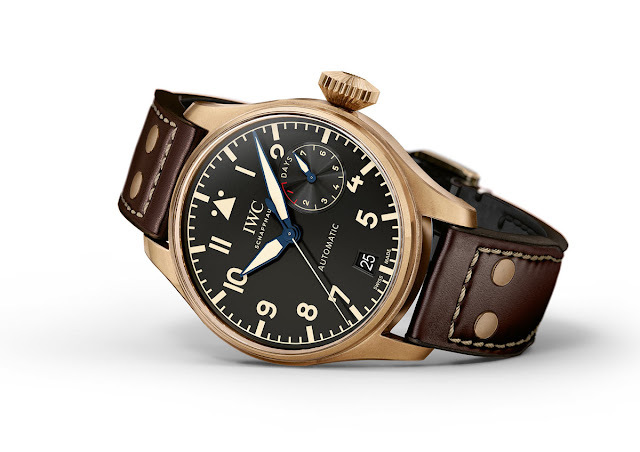 Both watches are worn with a brown calfskin strap with decorative white stitching and fitted with the tried and tested Pilot’s Watch technology from IWC: a soft-iron inner case keeps the movements safe from magnetic fields and the sapphire glass on all models is specially designed to be protected against sudden drops in pressure in the cockpit. Water resistance is 6 bar. 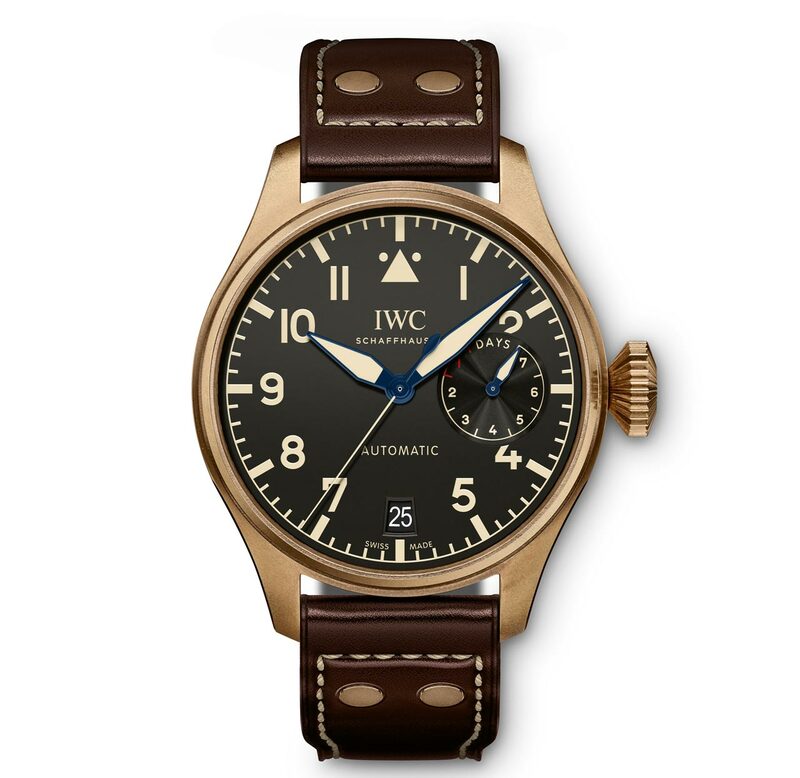 IWC Big Pilot’s Watches in Titanium and Bronze. 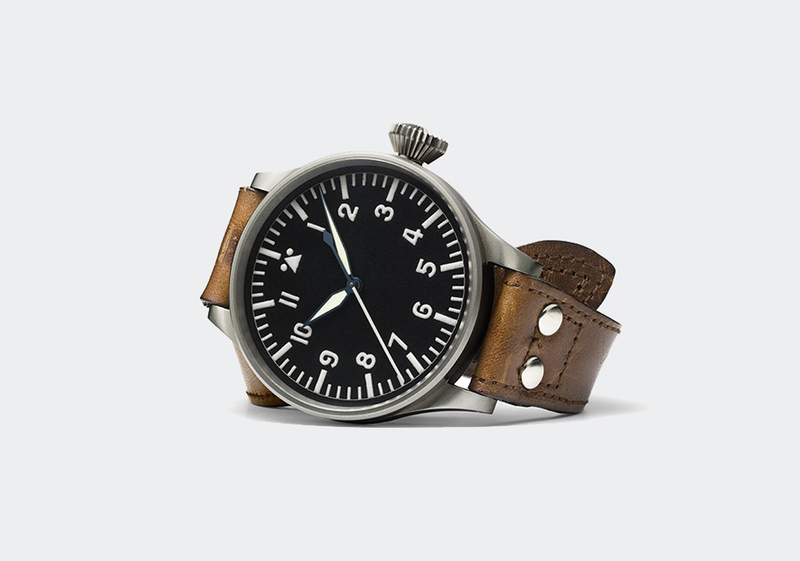 The new Big Pilot’s Watch Heritage is available in titanium (ref. 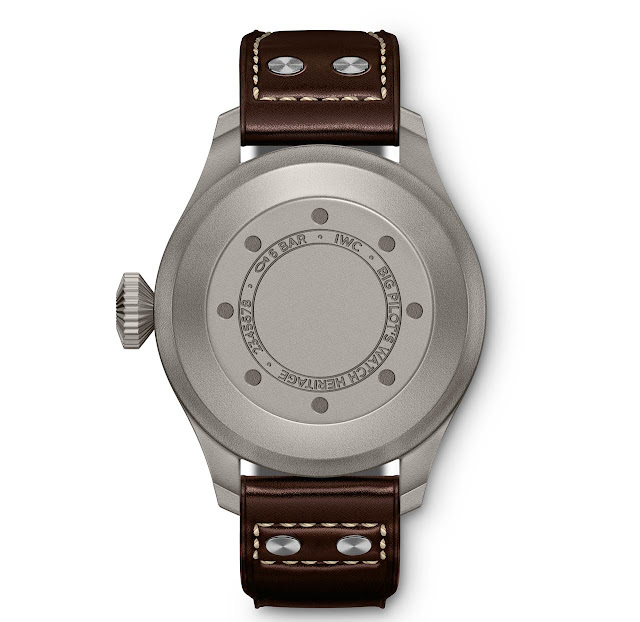 IW501004) or in bronze (ref. IW501005), both versions featuring a black dial and blue hands coated with luminescent material. The new IWC Big Pilot’s Watch Heritage models have a retail price of Euro 14,000 / US$ 13,200 will be available from November 2017 in IWC boutiques and from authorised IWC retailers.